As the shifting sands of the Namib Desert swirl in time to an ageless rhythm, The Burning Shore Country House rises above the wilderness in an oasis of calm, like a soothing balm upon the scorched earth. It is here, on the edge of one of the world's largest sand dunes, that visitors pay homage to the stark beauty of the Namib and the mighty expanse of the Atlantic. Having recently achieved fame by one of the world's most famous Hollywood couples, Angelina Jolie and Brad Pitt, who were GUESTS of the hotel whilst on their visit to Namibia, The Burning Shore is African Pride Hotels' first 5 star property outside of South Africa. The Burning Shore offers seven Standard Rooms, 3 Luxury Rooms and one Suite, all enjoying private bathroom facilities on the beachfront at Longbeach, only 15km from either Walvis Bay or Swakopmund airports. The Burning Shore has a sixty-seater restaurant, which serves exquisite cuisine. GUESTS can also enjoy the view from the Pleasure Flights Cocktail Bar, or head to the deck for alfresco dining, with direct access to the beach. The hotel offers a host of activities, from Quad-biking to camel rides. The Burning Shore offers 11 spacious and comfortable rooms, comprising 7 Standard Rooms (2 of which share a bathroom, making them ideal for families), 3 Luxury Rooms and 1 Suite overlooking the beach. Peninsula - The Honeymoon Suite, sea-facing, with a large bedroom incorporating a lounge area with lounge suite, large balcony, jacuzzi, dressing room and en-suite bathroom with shower and bath. The Burning Shore hotel offers a host of activities ranging from Quad Biking, Fishing, Ecotours Dolphin Cruises, Seal Colony Visits, Sky Diving, Dune Surfing and Camel rides. 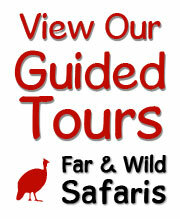 Marine safaris to Pelican Point Seal Colony and dolphin spotting. In addition, horse trails, dune quad biking, fishing and scenic flights via the Skeleton Coast can also be arranged. The 60-seater restaurant serves exquisite, mouthwatering a la carte meals and is open for Breakfast, Lunch and Dinner. Alternatively, head to the deck for alfresco dining, with direct access to beach. GUESTS can enjoy the views over cocktails or sundowners from the Pleasure Flights Cocktail Bar. In winter, the cozy fireplace in either the bar or private lounge offers a cozy retreat. Open parking, a Fitness Centre/Gym, Internet facility (at nominal charge), Room Service from 07h00 until 22h00 daily and a porter service. Nearby facilities include quad biking, golf, tennis, squash, horse riding, dune climbing, dune boarding (3km), dolphin cruises and bowls (15km).